We are also delighted for Robbie Sproul who was recognised as the 2018 Apprentice of the Year. Robbie has displayed outstanding dedication to his work, with full attendance and excellent timekeeping skills. Whilst first year apprentices are often tasked with maintaining tidiness on site, Robbie has demonstrated an enthusiasm and eagerness to gain experience using tools on a variety of projects. This is the third consecutive year that an apprentice from Brian Hendry Interiors Ltd has won this award and we look forward to witnessing Robbie’s continued development as he completes his final year as an apprentice ceiling fixer. 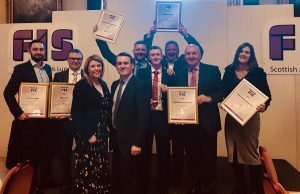 Overall, this year has been one to celebrate at Brian Hendry Interiors Ltd, with the company and its employees receiving awards on the national stage! 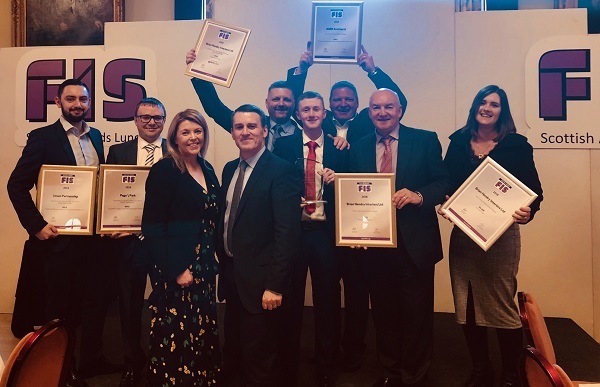 In February 2018, John Ramsay received the Outstanding Employee Award at the FIS President’s Lunch and at the 2018 FIS Awards Lunch in London, the company achieved a Gold Award in the suspended ceilings category, for its contract at Hawkhead Care Home in Paisley.